Written by Australian Solar Quotes. Deployment of new cell technologies is always significant in the solar industry. This time, we will take an insight into one of the most innovative and new technologies in the industry, the HIT cells. 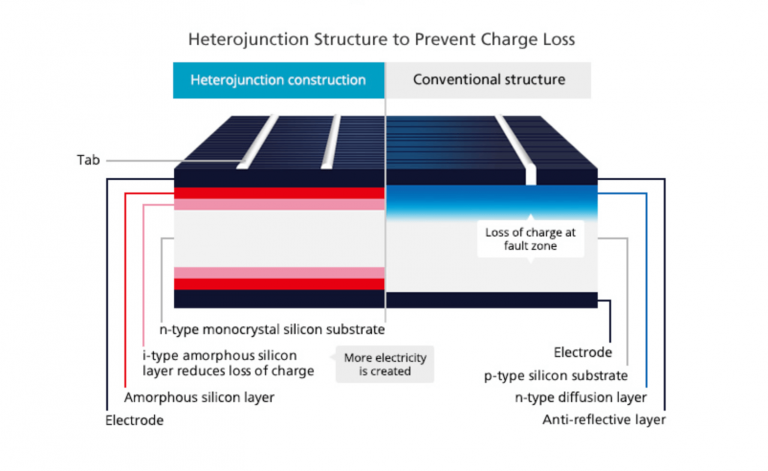 Heterojunction with an intrinsic thin layer or HIT, are revolutionary solar cells that are composed of several layers mixed to create a sandwich with the silicon layer, to maximise the energy production of the cell. The difference between conventional polycrystalline or monocrystalline solar cells lies in the arrangement of the HIT cell, which consists of an n-type crystalline silicon layer that is sandwiched between the amorphous layers. Amorphous silicon is a non-crystal material without a definite shape which means that the action between photons and silicon atoms occurs more frequently than in conventional silicon cells. This allows the HIT to reduce the recombination of electrons to minimum levels that also means a higher and more continuous flow of electrons to the electrodes in the external faces of the cell. Another essential feature of HIT technology is that during the manufacturing process the cells pass through a unique surface treatment. Traditional solar panels have rough and irregular surfaces that do not allow them to effectively absorb photons as many of them get reflected and lost. However, HIT cells have a pyramidal structure that allows them to catch sunlight more effectively by reducing the reflection losses. HIT solar cells are also designed to produce energy from the sunlight that is reflected and comes in contact with the rear side of the cell. Tabs (also known as busbars) are the metal wires that conduct the produced electricity of the cell to the next cell and the terminal output of the PV module. 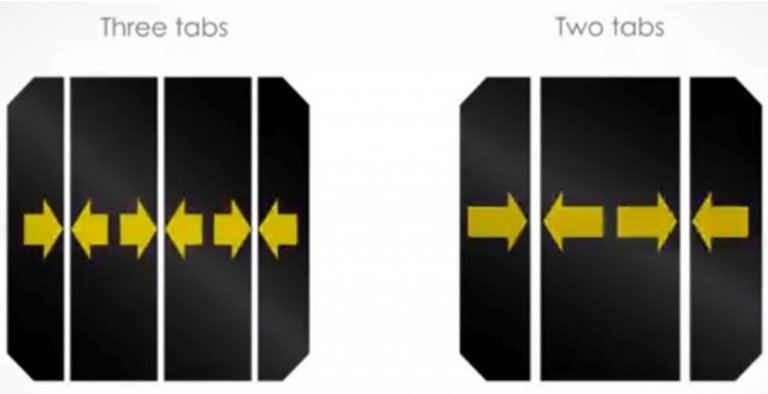 Electrons need to reach these tabs that act as highways to generate electricity. The longer the path to reach these tabs, the more significant losses in efficiency. Traditional solar cells usually have two tabs to conduct electricity, while HIT cells have three thinner tabs. This translates into a shorter path to reach the tabs and maximises electricity output. Moreover, as the tabs are thinner, the solar cells can absorb more sunlight and produce more energy. Rainwater is unavoidable, and it’s even necessary to clean the solar panels. However, sometimes a failure in the encapsulation of solar cells leads to moisture formation and therefore can cause cell delamination or high leakage currents. This occurs when humidity enters the solar cell and when water accumulates in the borders of the frame that also leads to dirt accumulation. 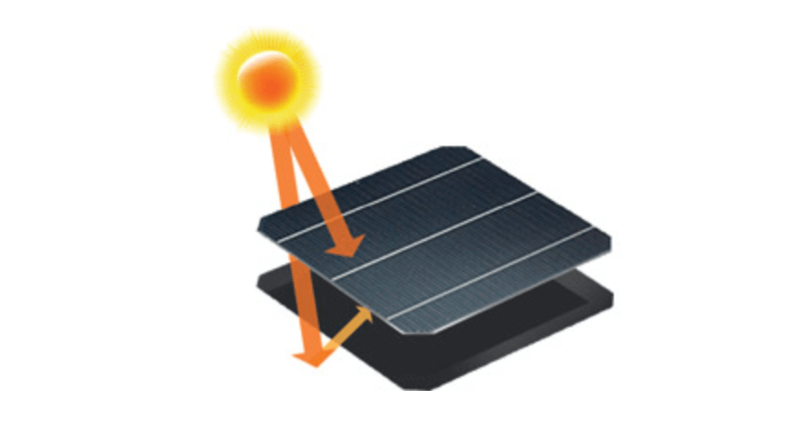 HIT solar cells (for example, from Panasonic) have a water drainage space in the corners of the module that allows a continuous flow of water on the surface of the panel, avoiding the accumulation of the liquid or mud. The anti-reflection glass is not a unique feature of the HIT modules but is always good to have it. The purpose of this glass is to reduce the quantity of sunlight that is reflected when hitting the glass surface of the solar panel. This is especially important for the early hours of the morning where sunlight impacts the module with very shallow angles. Panasonic is a company with over 40 years of experience in the solar industry and has been the iconic and leading promoter of HIT solar cells for almost 20 years! Panasonic HIT is one of the most powerful solar cells in the market with one of the highest efficiencies in the industry (19.7 %). This means over 31% more generation over the 25 years lifespan when compared to conventional polycrystalline solar modules! To compare, Q Cells Q.ANTUM technology owns a world record in polycrystalline module efficiency 19.5% (2015). Furthermore, Panasonic’s HIT modules have 96 cells which translate into higher open circuit voltages and fewer short-circuit currents. – The degradation rate is only 0.26 % annually. The HIT technology innovates in many aspects: structure, surface treatment and efficiency. Panasonic is the representative brand of the technology and offers a set of benefits related to temperature coefficients, efficiency and performance over the 25 years of warranty, that is hard to overcome.